In the spirit of Thanksgiving, we here at IMAGE wanted to share what we are most thankful for. Providing innovative skincare products that revolutionize the industry is our mission. But during this time of thanks, we are most thankful for the opportunity we have to witness the positive effects that these products have and share the testimonials of those whose lives have been changed by using IMAGE skincare products. As many of you may know, acne can have a significant impact on a person’s life—depression, poor self-esteem and frustration are some of the common side effects. This is why we took great care to create acne-fighting products using a blend of AHA, BHA and other natural elements to effectively clean out pores, remove dead skin and gently treat the infected area with antibacterial elements to ensure lasting results. Lacy, beauty parlor owner persona, and Emily, Miss New Jersey USA 2014, are only two of many IMAGE skincare users who have seen immediate results and can now confidently step out without any makeup on, showing off their new blemish-free complexion. The Ormedic line has proved to be a great help for cancer patients. This organic line is infused with botanical herbs formulated to heal damaged skin, chamomile and aloe to reduce inflammation, and apricot oil to moisturize. This balancing blend of organic ingredients has provided instant relief to post treatment skin, and most importantly, restored a sense of confidence to those already having to face the harsh reality that comes with a life threatening diagnosis. Another cancer patient said, “I had just had my bilateral mastectomy and was told by my nurse that I had the “best skin she had ever seen on a cancer patient” and it is all due to the Ormedic skin care line. “ You can read her full testimonial here. Many pregnant women are forced to stop using their current skincare products because the chemicals are too harsh for pregnancy. However, certain IMAGE products are both safe and effective to use while pregnant (we encourage you to contact our customer service for recommendations). You can see how model Alison was able to enjoy a relaxing facial while effectively battling both acne and pregnancy onset hyper pigmentation. We are truly thankful to be part of so many amazing skin transformations, and you can read more testimonials from both medical professionals and IMAGE customers here. 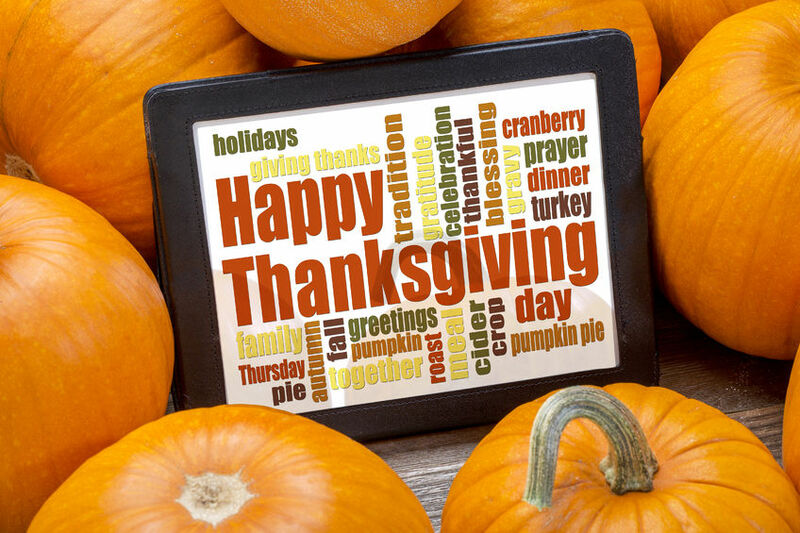 Now tell us, what are you most thankful for?